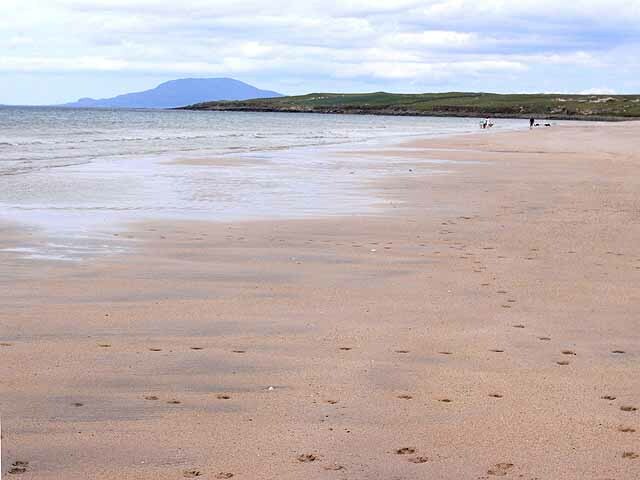 White Strand Beach is a stunning sandy beach in south County Mayo, Ireland. This magnificent beach is over 6km in length and nearly a 1km walk to the sea from the start of the beach. Yes, this is a big beach! The majority of the beach is seperated from teh car park by the Owennadornaun stream which can be sometimes very deep. Although driving through the stream is prohibited and not advised, there are always some who try. There is great scenic views from here and the beach is just an amazing walk.